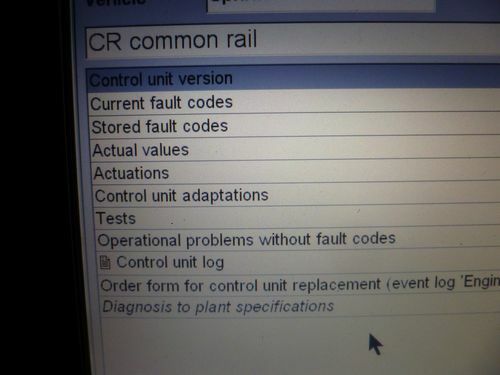 Several times when people have asked advise, I have said go to a good independent and get the fault codes. I'm sure many have not seen a code reader used and what it can tell you. People keep going on about PP2000 (which I have got along with other make specific tools) but just to show you there are good alternative code readers and what they do, here is a short demo. Although mine is one of a range of pro scanners costing ££££££££, It will give good results,and does most things. Sometimes, for re-coding for example, or enabling features you do need PP2000. 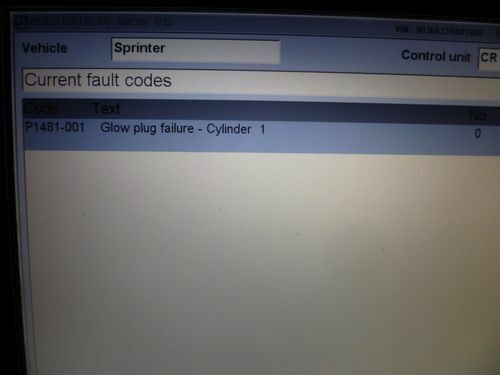 If you buy a £30 special off ebay, don't expect the same results, but they will give good basic engine (EOBD2) faults. For basic DIY engine faulting they will be sufficient. 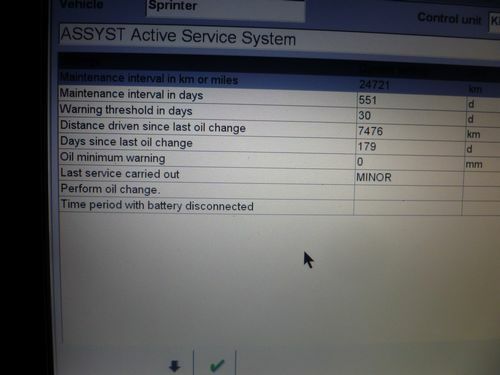 They won't generally read Body/ Chassis/ ABS/ Airbag/ Imobiliser type faults like a pro one will. 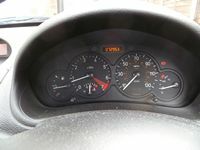 Peugeot 206SW '52 plate arrived with airbag fault showing on dash and centre binnacle. 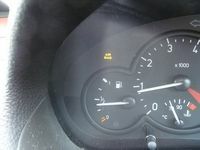 Cleaned connection and retested OK. Cleared fault from car memory- Airbag light gone Taa-Dah!! Life's too short to drive around with your top on! In general, petrol engine cars built after Sept 2000 and diesels after Sept 2004 should, by law, be EOBD compatible. This was an EU ruling to prevent a monopoly on servicing cars by the dealers (in my view the ONLY EU law worth anything). Before that the manufacturers could use proprietary diagnostic software to keep others out. 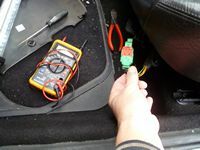 But the software is only half the problem as you then need to find a cable to connect the car to the laptop ... and as the connectors on the car look standard OBD-II that should be easy .. it isn't always. Some move pins around, others the software just isn't readable with a standard code reader. So only garages could usually afford to invest in the software or code-readers and dealers earned a fortune reading fault codes only to then charge you more to fix it. And when labour costs are hitting £100 per hour, this is an expensive treat. So if you have a car built after those dates I mentioned you might find an off-the-shelf product that works. Remember your car could be built before that and registered afterwards. Before those dates it's more haphazard and EOBD doesn't work. OBD-II or OBD-2 is actually a US standard so most European cars don't use that either. Very new models use systems like multiplex in the Peugeot/Citroen range or Canbus which reduces the amount of cables in the car as they can send signals to different things down fewer wires. These again make buying a diagnostic system harder ... or just even more expensive! I've got PP2000 and invested in the interface cable set so I can check fault codes on both the Pugs in the family and play with other things like the BSI unit, etc. I had to do that when I fitted rear speakers to the HDi Style which didn't have them as standard. I tried everything before and although I could sometime get one code reader to work on the 1.4 HDi it wouldn't read the 2.0i CC!! And vice-versa!! For my Alfa, I've got two different software products on the laptop (one £40 and the other free) and a couple of different cables (one to be be modded so I can get to the airbag system). For everything else I treated myself to a Sealey unit that cost over £200! That seems to work on a Renault, the 1.4 HDi occasionally and I've helped out a work colleague or two on Fords. But I've already saved the cost of that and the PP2000 cables several times over ... and no, I'm not a backstreet garage or mechanic. Just need to keep five family cars on the road including a '98 Alfa Romeo 156 with over 187,000 on the clock!! And I don't like paying someone to do something I am quite capable of doing!! Last edited by gazza82 on Wed Dec 04, 2013 11:13 am, edited 1 time in total. You will normally find that most cheaper code readers will only read "P" codes and not body/ chassis / security/ ABS/ Airbags etc: That one in my pics cost over £3500, and will cope with pin out changes and CANBUS capability. 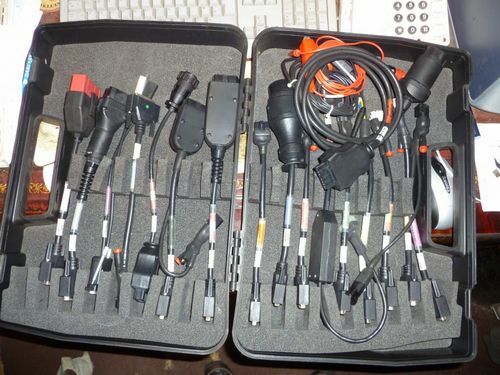 It also has a printer and about 20+ leads and adapters. There is not much it doesn't do. 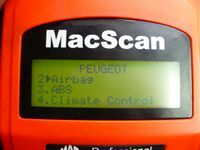 I have also got PP2000, but the Macscan hasn't yet failed to get any code from Peugeot / Citroen. The only thing it struggles with is Mercedes, and I've got MBSD for that! The reasons I like a handheld are, that it's not as cumbersome as a laptop and doesn't need charging or a power supply and the printer is a self contained hand held unit. It also saves the time that it takes to fire up a laptop. 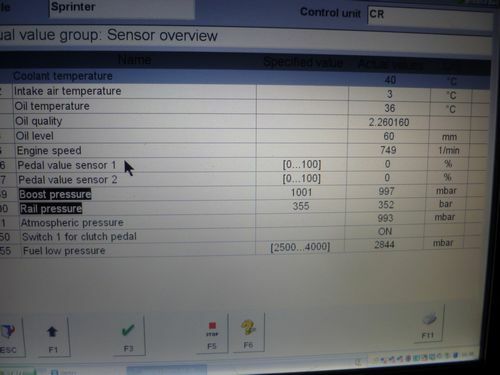 I have usually read and printed codes before PP 2000 has even started up. The reasons for this post is that some people (not you Gazza) seem to think that only a Peugeot specialist with PP2000 can fix a Peugeot, and have probably never seen a code reader. There are alternatives to PP2000, and a good independent with a Launch / Snapon / Macscan can do the job just as well, although the £30 specials on ebay are quite limited, as they don't show live data. Also, for example, I can tell the ecu to fire the injectors, or coil packs- brilliant for finding misfires. I suppose you get what you pay for. dealers earned a fortune reading fault codes only to then charge you more to fix it. And when labour costs are hitting £100 per hour, this is an expensive treat. After all I have about £8000 - £10000 invested in diagnostic equipment of various makes, that need software updates (nearly £300 per year), and eventually need replacing when technology overtakes them. I need to justify the cost, and they need to earn their keep (and it's part of how I earn my living) If I then get the job to repair the fault, I knock the diagnostics off the price. I think it would be a bit unfair to expect a free Diagnostics & code read (print out and all) then take it elsewhere to be fixed. Update as promised with live data. 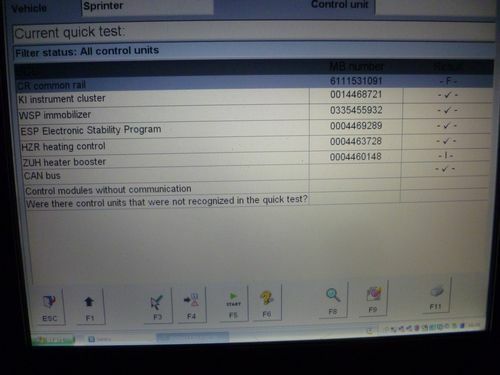 This was a Mercedes Sprinter that came in for service and investigation of poor starting (Cranks for several seconds before firing) Tested on my Star tester as my Macscan, like most code readers, doesn't like Mercs. The reason I prefer the hand held over a laptop?- I have had to photo the screen as my wireless printer is out of range. 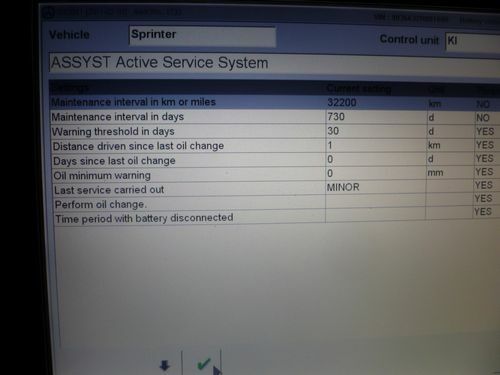 I normally save info, unplug laptop from vehicle, then get nearer to printer to print results. On the H/H i would use the mini printer that plugs into it. OK then. Why was it hard to start? Problem starting was rail pressure too low, not the glow plug. If the pressure is below a certain pressure, ECU won't fire the injectors. The pressure was taking too long to build up under engine cranking. The glow plugs on these are mainly for cold start emissions. Thanks very much for interesting info on code reader. I have a 206cc 2003 bought it second hand and fixed the auto trans problem (ie. after driving for 1 hr in freeway 100km/hr and stopped at traffic lights then the gear changes only after high rev of 3k-4k rpm or it is OK again after stopping the engine for 10 minutes) by changing the fluid. Can PP2000 do a auto trans reset counter? I am looking for a code reader that can also do auto trans reset counter, airbag reset, programming key duplicate, etc. I have bought from ebay a Delphi DS150e cloned (I realised later) but it does not do a trans counter reset. 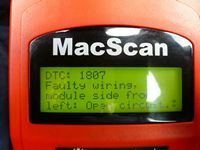 Can you recommend a code reader that have most functions for 206cc? affordable medium priced for a DIY home mechanic. Thanks very much in advance. 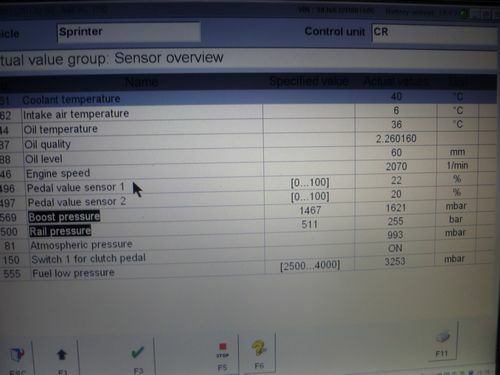 If you only need it for the Peugeot, then get PP2000 / Diagbox as that will cover all the functions. You can get pirated software and leads online. 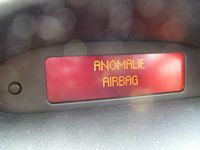 Crash data in the airbag module would need to be cleared by a specialist, but you could code a new module. 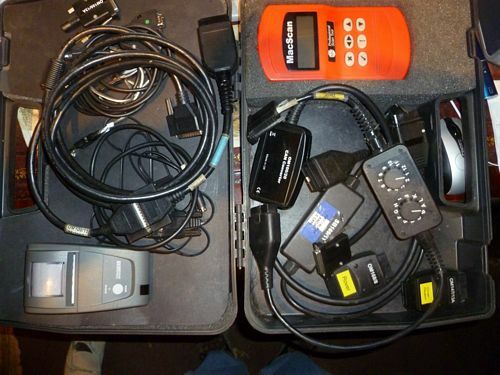 If you need it to cover a multitude of vehicles, you would have to dig deep into your wallet for a pro scanner. Some are better than others on specific models and I use Sykes Picavant or Macscan as my general purpose scanners. If neither of those do the trick, then I have friends in the trade with Launch / Snapon / Bosch / Delphi etc: and we all call on each other if our own scanners won't read. Thanks very much for the advise. It is much appreciated. I will get PP2000 soon. Lots of people sell them on ebay at a big mark-up ... I bought my cable directly from aliexpress ... saved around £35. But I didn't use their software for fear of what might else be on it ... downloaded that from PeugeotForums and the guys there provided the keygen (licence). gazza82 wrote: Lots of people sell them on ebay at a big mark-up ... I bought my cable directly from aliexpress ... saved around £35. Do you mean I can get the connector online at aliexpress and the PP2000 sofware from this forum? Like all forums users come and go so it may not be so easy to get answers .. I think I downloaded my software about three years ago! Wow workshop charges are expensive no matter where you live and because of this I am teaching myself to repair my 206cc but my complaint is workshops in aussie charge $100ph. Should I stop complaining??? what was it in the end? I can only guess at the filter, battery SOC, PRV or pump? Split O ring in fuel pressure reg.